Attorney-General George Brandis has dismissed a supporter of the government’s proposed changes to the Racial Discrimination Act as a nutcase. To make this completely clear, he spelled out nutcase “N-U-T-C-A-S-E”. That supporter is Holocaust denier Fredrick Toben who has backed the government’s moves to water down race hate laws as a welcome challenge to “Jewish supremacism”. Greens senator Penny Wright said people such as Mr Toben and others with repellent views were lining up to celebrate the proposed change. “Given that there is a great deal of concern expressed by well-meaning people that this will actually be a red flag to racism, are you concerned about those potential risks,” she asked during a Senate estimates committee hearing. Senator Brandis said he was not. 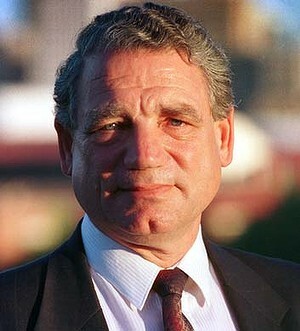 “I have more confidence in the Australian people than obviously you do,” he said. 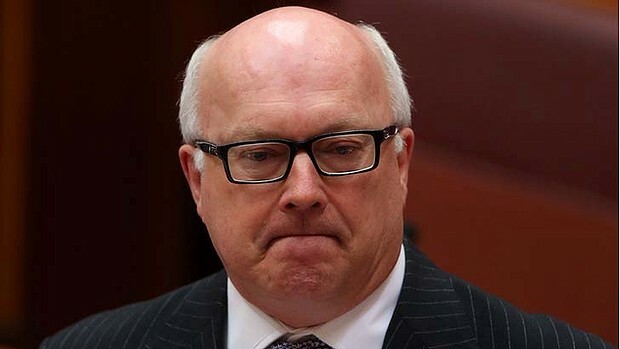 Senator Brandis said Mr Toben was a nutcase. “He is a nutcase, N-U-T-C-A-S-E, nutcase. He has nothing to do with this debate,” he said. Senator Brandis said Senator Wright had sat in the Greens party room with a colleague Senator Lee Rhiannon who was an active and prominent member of the Communist Party of Australia for much of her adult life. “Her views are repellent. There are lots and lots of repellent views. The fact that a person may have repellent views doesn’t mean that they infect everybody else in the community,” he said.